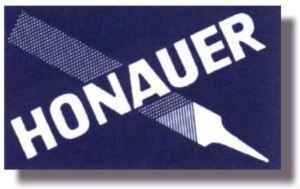 Unless otherwise expressly indicated, E. Honauer owns the copyright in all material provided on this site. None of the material may be copied, reproduced, distributed, republished, downloaded, posted or transmitted in any form, including electronic, mechanical, photocopying, recording, without the prior written permission of E. Honauer, File- and Tool-Factory, Switzerland. Permission is granted solely to view, display, copy, distribute and download the materials on this site for personal or non-commercial use only provided you do not modify the materials and that you retain all copyright and other proprietary notices contained in the materials. Modification of the documents, related graphics and materials or use of the documents, related graphics and materials for any other purpose is a violation of E. Honauer, File- and Tool-Factory's copyright and other proprietary rights. The use of any materials from this site on any other Web Site or any networked computer environment is prohibited. This permission terminates automatically if you breach any of these terms or conditions. Upon termination, you will immediately destroy any downloaded and printed materials.